Home »Asia eCommerce»Korean startup scene: Southeast Asia is the most desirable global target! Alix Hyewon Park is not a stranger in Korean tech & ecommerce scene. She is an experienced marketing veteran for Lotte Shopping, Ernst & Young, Samsung Global before setting up her own tech venture. Let’s chat with Alix to know more about Korean startups scene. Can you share a brief about your company and its relationship to SEA? 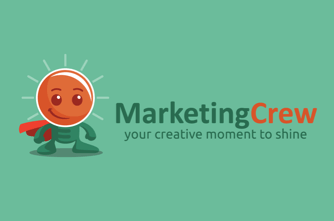 MarketingCrew is a marketing insight crowdsourcing platform to help startup’s successful global expansion. Our team CREATES startups’ product stories and PRESENTS it in our platform, and CROWDSOURCES marketing positioning messages and market feedback from our MarketingCrew app users. Our app is available in six Southeast Asian countries – Indonesia, Malaysia, Philippines, Singapore, Thailand, Vietnam. We believe that Southeast Asia is the most ideal primary target region for startups’ global scale up and built our platform dedicated to Southeast Asia. Recently, we ran a project to crowdsource our own positioning statement, celebrating our first year anniversary. The winning positioning was “A global platform for startups to engage potential market in seconds,”which was suggested by a Singapore user. Where are the trendy places for Korean startups to go global? In a nutshell, Southeast Asia is one of the most coveted regions for Korean startups. According to “Startup Trend Report 2017 ,” Southeast Asia was selected as the most desirable global destination for Korean startups, followed by the US and China. In the last year’s survey, China was the first and Southeast Asia was the second. 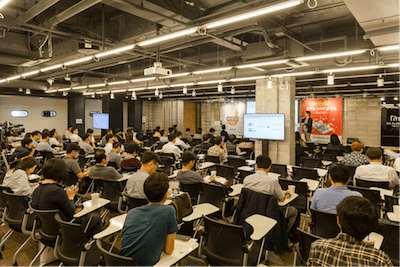 Korean startups are getting to realize it is quite hard to gain a foothold in the US, or China, or Europe as starting companies having little resources and brand awareness. The recent political issues between Korea and China gave frustrations to startups who were preparing to expand to China. On the other hand, Korean startups feel solidarity with Southeast Asia, something like one Asia spirit. Southeast Asians have been the first and most loyal consumers of Korean culture and brands. Korean startups see a big potential in this region where has a sizable population – twice the US, bigger than the Western & European countries combined – and almost all internet users use social media every day. As a result, various types of events about Southeast Asia are being held throughout the year. Korean investors are paying more attention to startups having potential in Southeast Asia. Uprise Global Startup Forum about Southeast Asia hosted by GCCEI (Gyeonggi Center for Creative Economy & Innovation) in September 2017. Which are first favorite destinations for Korean startups to go ASEAN and why? There are equally strong interest in each ASEAN country. Indonesia, Philippines, Thailand and Vietnam have huge consumer base, much bigger than Korea’s size. They have showed generous acceptance of Korean brands. If a startup is a company designed to scale up rapidly, socially-connected countries are ideal targets. All four countries are ranked at top 10 countries with the highest number of Facebook users. A research revealed that the success of Psy’s ‘Gangan Style’ video with 2.9 billion views can be traced to the Philippines. Singapore and Malaysia have English-speaking trendy lifestyle & tech-savvy consumers. Hence they are favored as quality market to validate startups’ global potential. Which are favorite industries for Korean startups to go ASEAN? Mobile games and apps, other ICT, beauty products, education would be some of them. Korean hardware startups usually starts their selling on Amazon. But as Southeast Asia’s e-commerce is growing fast, they are showing increased interest in online channels in SEA. Corresponding to this trend, Lazada recently held a press conference in Seoul seeking partnerships with more Korean sellers. What are the popular ways for Korean startups to do business in a new local country in SEA? In this connected age, startups can sell online worldwide and access to global consumers through social media. It will be wise to save the investment until they validate the target countries and build their brand online first. 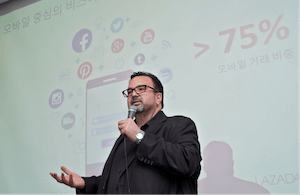 Some startups hire Southeast Asians residing in Korea, mainly assigning them to manage social media in their local languages. It is difficult for startups to find local partners without any external help. So, Korean startups contact Korean partners in SEA first and ask for their advice or introduction of local partners. The government of Korea used to support for cultural and food Korean companies to go abroad, do they support for Korean startups’ global expansion? Korean government is actively supporting startups’ global expansion; mentoring, marketing support, overseas IR, meeting with foreign retailers, support for hiring foreign employees, etc. 18 regional centers of Creative Economy and Innovation are accelerating startups and fully support their global expansion. ‘Startup Campus’ that Korean government opened as a Korea’s startup hub, is running ‘Global Lab’ program. It invited Indonesian and Myanmar engineering students and let Korean entrepreneurs make teams with them. Their work will be presented on a demo day this December. KOTRA (Korea Trade-Investment Promotion Agency)’s support is noticeably practical. While other organizations’ support focuses on investment funding, KOTRA’s Global Startup Support team more focuses on helping ‘selling’ and growing revenue. For example, it has made partnerships with Facebook Korea and Amazon Korea to teach startups about how to sell through their platform. 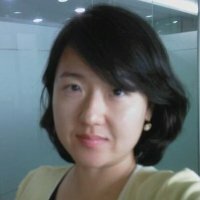 What are some of the successful case studies of Korean startups in SEA? Althea is a K-beauty e-commerce site headquartered in Malaysia. It was created as a one-stop shopping destination for K-beauty products at a reasonable price, directly shipped from Korea. It got seed funding from 500 Startups in its founding year 2015, and recently raised series B funding US$ 7 million. It is running sites in Indonesia, Malaysia, Philippines, Singapore, and Thailand. Swingvy is a HR platform started from identifying an unmet need in SEA. The team found many small business are still stuck with paper works and brought affordable cloud-based HR software. It manages onboarding new employees, managing leave requests and processing payroll and expense reports. Swingvy is also headquartered in Malaysia. It has around 1,000 client companies in Malaysia and Singapore. It raised US$1.1 million seed funding in April 2017. Korea’s interest in Southeast East is hotter than ever. Even in politics, South Korea President Moon Jae-in announced the “New Southern Policy” to expand relations with ASEAN to the same level as that with its four countries – US, China, Japan, and Russia. A barrier for Korean startups to go to Southeast Asia has been lack of information about the market and consumers. Our MarketingCrew platform was created to bridge this gap. We crowdsource local consumers’ market insight, building the SEA insight database. We will do our best to contribute to Southeast Asian consumers’ delightful life and to help Korean startups be successful in this valuable region.